"Tony Deblauwe's approach to dealing with an abrasive, domineering boss is both insightful and inspired." "Tangling with Tyrants offers hope and alternatives for people who may think quitting is the only option for dealing with a bad boss." "This book is a terrific and practical guide to dealing with bosses, and demonstrates a remarkable talent by Deblauwe to understand where key elements of power are focused in the workplace." 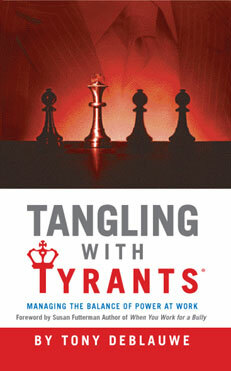 "Tangling with Tyrants identifies and explains dysfunctional relationship roles, what behaviors will adversely affect an employee, and actually changing the relationship dynamics with enduring, practical, applicable solutions." Do you dread going to work because of your boss? Quitting isn’t always an option and feeling like a victim of a bad boss only robs you of productivity, job satisfaction, and power. Career strategist and workplace expert Tony Deblauwe has spent years coaching employees how to be more effective with difficult bosses, and he has compiled his experiences into this indispensable guide. Tangling with Tyrants: Managing the Balance of Power at Work offers practical techniques that show you how to build a communication process that will turn things around to help you build successful outcomes. You’ll get guidance on addressing direct and indirect bad boss behaviors, developing the right approach, and achieving mutually beneficial outcomes. By applying the techniques in this book, you will be equipped with the right tools to handle your boss and create the results you want. 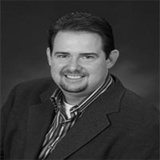 Working in Human Resources for 15 years, I've coached many managers and employees on workplace behavior. When someone works for a difficult and demanding boss, the working relationship and environment becomes stressful. I know first hand because I too worked for a bad boss who didn't view my contribution as an equal stake in getting the job done. After reading many books on the subject I found many did not have what I experienced coaching people - in-the-trenches practical guidance. People who are stressed out over their boss want immediate help and tactical advice they can use right away. My book is written from a business strategy angle. What do you have to do to get your power back and change the communication approach you have with your boss? How do you get back on top and make your work environment a little easier to deal with rather than quit as the only option? The book was reviewed by employees, managers, and human resource professionals so no matter where you're coming from, the book can provide value.